This post has been a few months in the making. Late last year we had a post-pub slap-up meal at Mum Kitchen but lost the photos. Turned out to be a good thing because we enjoyed giving everything a sober second whirl, especially in the soup department. 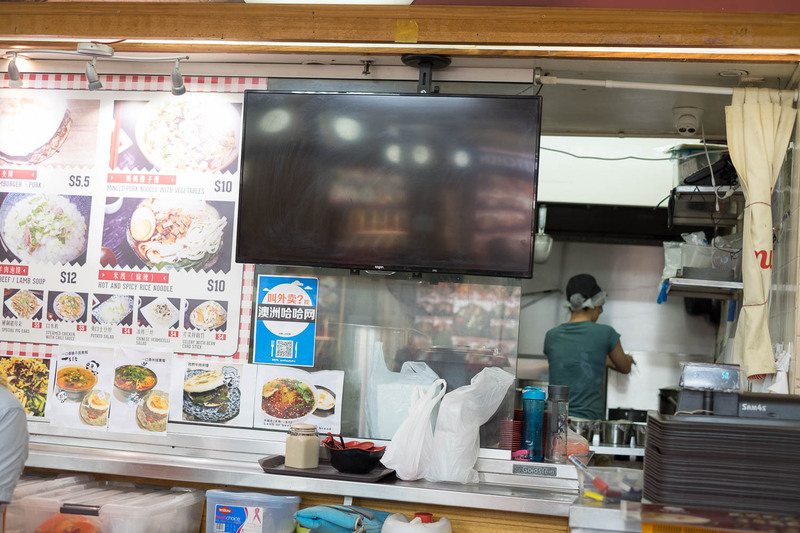 Real A-grade noodle soups are surprisingly hard to find in Chinatown, particularly in the food courts where most stalls are jack-of-all trades. So if you're a soup or pork fan we suggest giving Mum Kitchen a go right now, you just never know how long this little gem is going to be around. 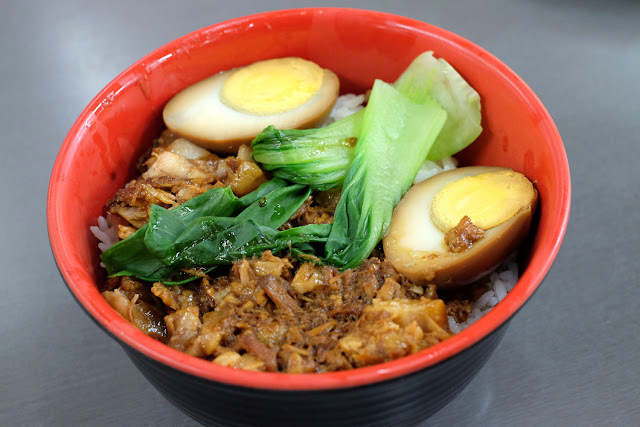 The red pork with rice - $11. This is super, super rich and super, super porky, full on like ramen pork, approaching Gumshara-ness. Served with rice, tea egg and token greens it was a bit over the top for us, but that's just us, swine fiends will go nuts over this. Chinese hamburger - $5.50. We think this has the same super rich pork as the red pork dish above, but it works much better for us, nicely proportioned against fresh, toasty white bread. 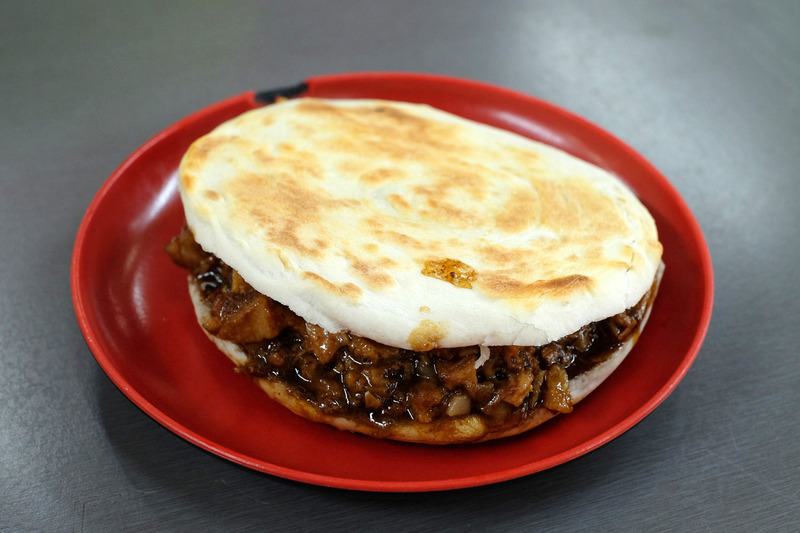 A must-try for Chinese hamburger fans. 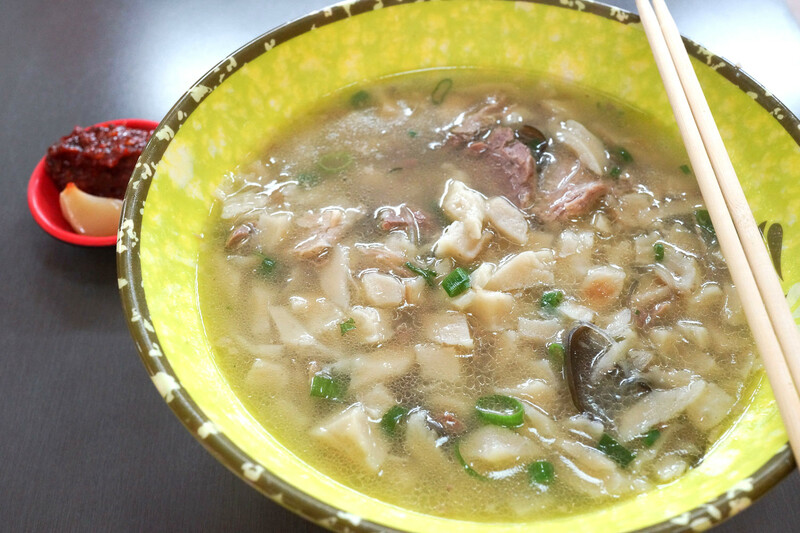 Red pork and hamburgers are easy crowd-pleasers, but it's the soups at Mum Kitchen that really get us excited. Pork mince noodle with vegetable - $10. A classic country style soup with flat white noodles, little bitsies of diced veggies, pork and a little mushroom, a little chili oil. Hot and spicy rice noodle - $11. Similar to the soup above but extra spicy, with bonus googy. Three delicacy rice noodle - $10. 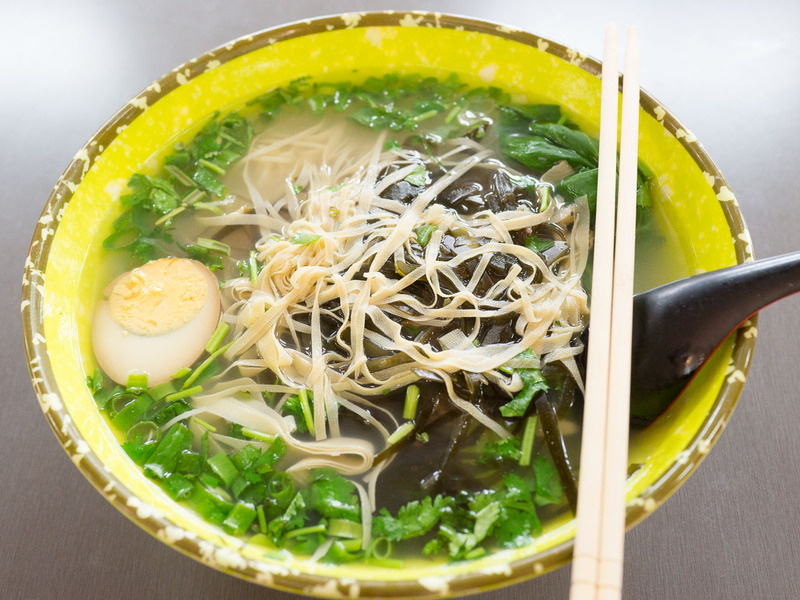 Lovely gentle opaque broth with thin rice noodles topped with shredded tofu skin. 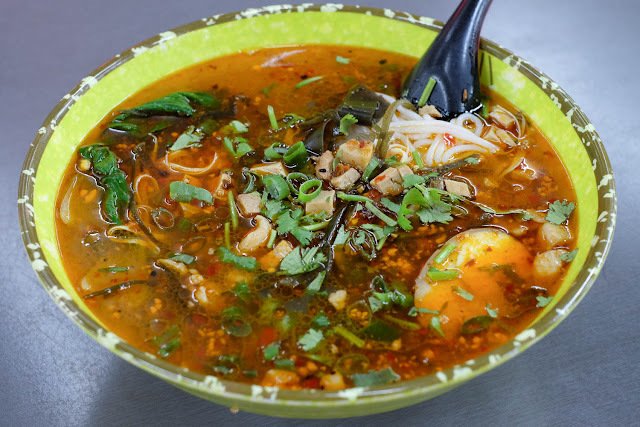 A smattering of extra ingredients add some depth to the broth without overpowering: a little crushed peanut, school prawns, squid, mussels, half a smokey tea egg. 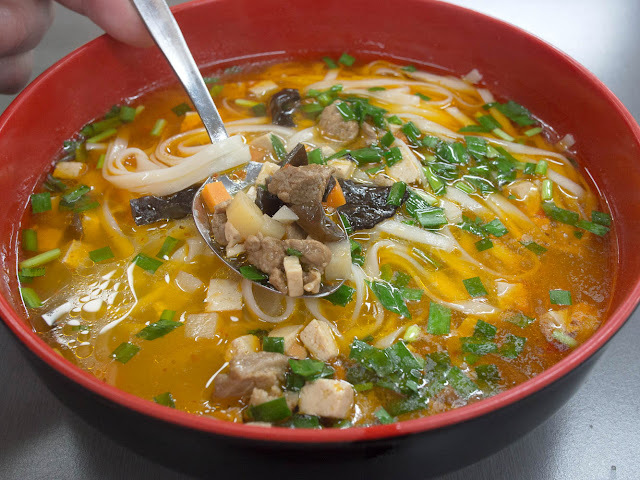 This is another of those wonder soups that may seem plain at first sip, but it it all comes together halfway through the bowl. Lamb soup with pita bread $12. Same broth made super lambsy with soft hunks of slow cooked Shaun Sheep with broken-up bread, glass noodles and black mushrooms. Spicy chili paste and pickled garlic are served on the side. A great version of one of our favourite soups. Beef (or lamb) soup with a bread $12. 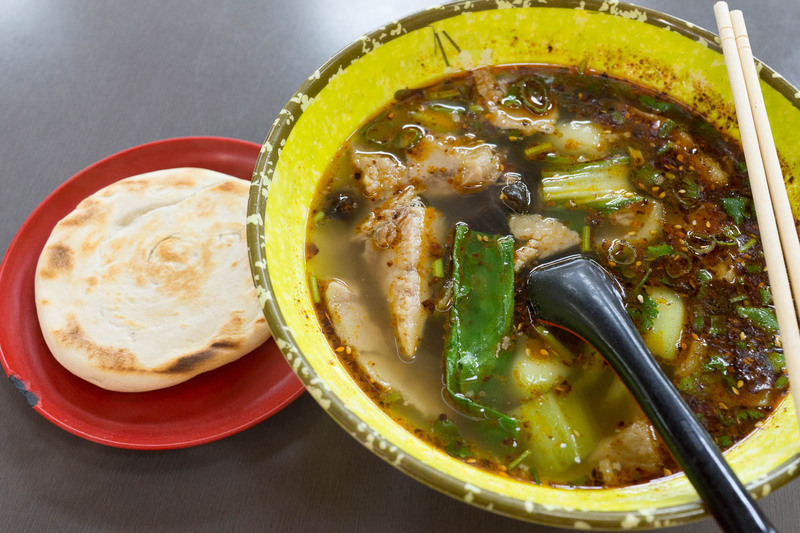 The broth is spiced up fairly big with Sichuan pepper and roasted chili. The hunky-ish chunks of beef are soft and fatty in the good way. The lardy beef is a great counter to the spicy broth, greens and black mushroom. The pita bread is warm and toasty, made for dunking. Another ripper. 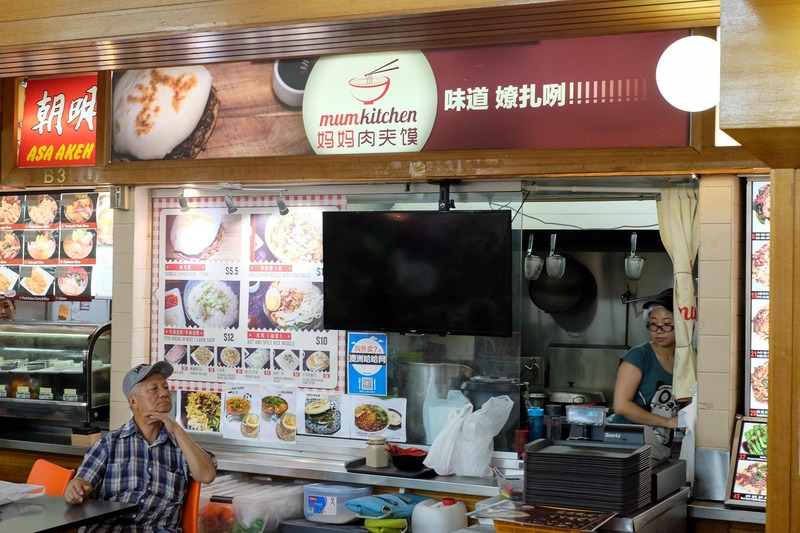 Mum Kitchen is in the most glorious Dixon House Food Court, cnr Little Hay and Dixon Street, Chinatown.